Is it gender or race that is shaping the Democratic Party nomination? After a spirited debate with a colleague, I walked away from our conversation convinced more than ever that it is really both, just in very different ways: sexism in a very overt fashion, racism in a very subtle, covert way. Let’s be clear, in spite of what polls say, many people (particularly male voters) will not support Senator Clinton because she is a women. Moreover, while separating the disdain some in the media have for her and her husband from the sexism is sometimes hard, it clear that the media treatment of her has been shameful and biased. Remember the sexist portrayal of her show of emotion and passion just before the New Hampshire primary. Not surprisingly, the torrent of media bias is having an effect on voters, even female Clinton supporters. Much has been made about the gender gap. According to national polls, throughout much of this campaign season, Senator Clinton has been ahead of Senator Obama and enjoyed disproportionately strong support from women. However, recent Gallup polls show that Obama is catching up, and perhaps surprisingly, his gains have been most pronounced among female voters (13 percentage points). 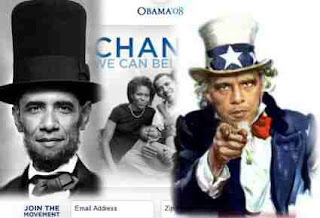 While I think that some whites will vote for Obama because he is man, I think that more whites will vote for him because he is black; which, if I am right, may be just as racist as refusing to vote for him because he is, well, black. Again, let’s be clear. Obama is one of the most intriguing political personalities in, at least, the last 40 years. His message of hope, change, and transcendence has generated a surge of excitement in not just the Democratic Party, but all of America. But, what role is race playing in this surge? Generally speaking, most whites do not believe that they are racists. As a matter of fact, many whites claim that they do not even see race, just people. It is certainly true that the beliefs that once buttressed Jim Crow segregation, such as, the arguments that blacks are stupid, lazy, or immoral are rarely made except by the most extreme white supremacist. But, is racism really a “thing of the past.” The answer to that question depends on who you are asking. According to a January 14-17, 2008, CNN/Opinion Research Corporation Poll survey, a large majority of blacks think that racial discrimination against blacks is very (26 percent) or somewhat serious (35 percent) where they live, while only about a quarter of whites thought that racism was very (4 percent) or somewhat serious (21 percent). A whopping 56 percent of blacks and only 12 percent of whites thought racial discrimination was a very serious problem in the country. Most whites also believe that blacks would do better if they would stop complaining about alleged acts of racial discrimination. Moreover, many whites believe that we would all “get along” if blacks would stop looking for handouts (for example, welfare, affirmative action, reparations) and simply work as hard as white people do. According to the same survey, a paltry 13 percent of whites, compared to 38 percent of blacks, think that “black have worse jobs, income and housing than white people” mostly because of discrimination. Regardless of the cause, black’s perceptions of racial inequality are on the mark. On nearly every indicator of social and economic well-being, blacks lag far behind whites. According to the Census Bureau, 43 percent of America’s poor are black. The black unemployment rate is more than double the white unemployment rate. According to the independent activist organization, United for a Fair Economy, blacks make up nearly a quarter of the uninsured. Demos, a New York based policy think tank, report that blacks are being hit hard disproportionately by the sub-prime melt-down. Claiming to not see race, that is, color-blindness, allows whites to explain away the persistence of racial inequality and the role race and ethnicity continues to play in shaping life chances and opportunities. A vote for Senator Obama will make many white people feel good about how color-blind they are and how far their (our) country has come. But perhaps, most importantly, for many whites, an Obama victory will, once and for all, repudiate any claims made by blacks (or any other racial or ethnic group) that racism and white supremacy continues to shape and define American society. As a Black man with a diverse group of race, gender, & age close friends, I have heard more than a couple of white middle age/class men tell me; "...this country is not ready for a black, woman, or Mormon (not to worry about that one) President!". Therefore, the John McCain & Mike Huckabee express is still strong in middle America. On your other point, I can see how a larger number of Blacks think racism is still alive versus a small number of Whites; It only takes a small number of bigoted, hater racist Whites to piss off a large number of Blacks! For instance, a White racist teacher, boss, or banker can discriminate against a large number of Blacks, causing lots of pain & anguish to a large number of non empowered folks. Keep your blog alive! Is the "Ivory Tower" a metaphor for the "House Black"? An interesting double-bind problem, dude. Pity the poor white Obamaphiles: their attempt to prove their purity only proves the opposite. Obamaism, in your read, is to be viewed as a heretical denial of American depravity. It offers white America a false expiation from the taint of the original American sin and improperly signifies that the white Obamaphile’s soul is pure. In your Calvinist view, the sin of American racism is both much deeper and much more abiding than a white Obamaphile wants to believe. You are right, of course (it turns out that I think the more Calvinist position is almost always right in any controversy). But in the face of this irony, we are left with the practical question of how to respond to both Obama and the hopeful-and-redemptive-yet-oh-so-wrong theology of Obamaism. In other words, should a rejection of the self-satisfied, self-justifying delusion at the heart of Obamaism bring us to reject candidate Obama? I would say no. This is not because I feel any particular desire to be fair to candidate Obama and not damn him on account of an Obamaism that is not a thing of his making. If I thought that damning Obama would somehow display the hollow core of the Obamaist conceit, than I would, Grand Inquisitor-like, grimly help the innocent junior Senator pack his bags for the trip to perdition. One question we might ask is who is more likely to do anything to fight Obamaism: Clinton, Obama, or…. McCain? (This last (ludicrous) idea becomes important if we believe that support nominee Clinton is more likely to deliver us a President McCain.) But confining ourselves to the first two, I think only Obama has any chance of actually developing a successful critique of Obamaism. Clinton’s (undeserved) reputation for mouthing only liberal doctrine would likely undermine any attempt she might care to make to enlighten American understandings of the nature(s) and consequences of racism. Only a person with a reputation for being non-doctrinaire, a person like Obama, has any hope of getting folks to listen to the charge that their country is not as sinless as they want to believe. Nixon could go to China, Powell could defend affirmative action, Obama might be able to criticize Obamaism. Of course criticizing Obamaism is not anything that any person who hopes to actually become President can do as a candidate. (Candidate Sharpton’s tongue was liberated by the fact that he was hopeless. And, notably, no white person listened to him when he wasn’t making jokes.) However, a President Obama could, conceivably, begin to talk about the realities of systems of privilege (as well as the continuation and consequence of plain-old prejudice) in this country. We have no reason to suspect that he doesn’t understand them. I won’t predict that President Obama would make it a project to take on Obamaism. He might very well never develop the deep well of credibility he would need to tell America how racist it really is or he might decide that he wants to expend his rhetorical capital on other projects. But my position is that of the three possible futures before us, only President Obama could do any damage to Obamaism. One last thing: I expect many younger readers of your essay will not resonate to the idea that whites are hungry to prove that they are not racists. I have the impression that many of that 18-29 demographic that is so in crush with Obama don’t feel a desire to prove they are antiracists. Rather, I think many feel that they have nothing to prove. They might well deny the significance of racism just as the whites of our generation do, but I think they don’t feel the same desire to “move on” because they think that they (if not their elders) already have. No Surprise Here: Growing Socioeconomic Segregation and Racial and Ethnic Isolation In the Schools.